Should You Save a Tooth or Get a Dental Implant in Islip? It starts as just the slightest twinge in your tooth that you notice when enjoying your favorite cold beverage. It goes away quickly, no big deal, right? The next thing you know, you’ve got a constant dull ache in your tooth. But it’s okay, because ibuprofen takes care of the pain. Before you realize it, you’re waking up at night because of the pain in your tooth, and your dentist says you have an infection! If your tooth can’t be saved, the question is: should you get a dental implant in Islip? It’s important to replace your tooth in order to protect the integrity of your oral health. Without a replacement, your remaining teeth will begin to shift into the open space left by your missing tooth. Without a root, your bone will also begin to resorb, or deteriorate, which will change the appearance of your face and put you at an increased risk for further tooth loss. A dental implant is by far the best replacement option that dentistry has to offer. It boasts a 95% success rate by closely mimicking your natural tooth. The secret behind the success of implants is the fact that they replace both your root and your tooth; no other replacement option can offer these benefits. With a biocompatible titanium post restoring your root, and a porcelain crown taking the place of your tooth, you’ll enjoy the same function you had before. This means that you’ll eat, chew, smile, floss, and brush as you were used to doing. Because your implant is easy to care for, you’ll also enjoy great longevity as long as you continue your regular dental check ups. 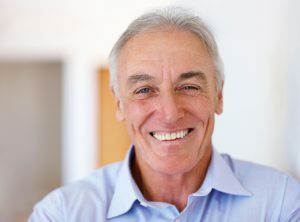 At East Islip Dental Care, our highly skilled team is here to help you reclaim your smile and we can determine if dental implants are the right option for you with a thorough examination and x-rays. Don’t compromise your oral health any longer! Contact our office today to learn more about dental implants and other options for replacing your tooth. Comments Off on Should You Save a Tooth or Get a Dental Implant in Islip?